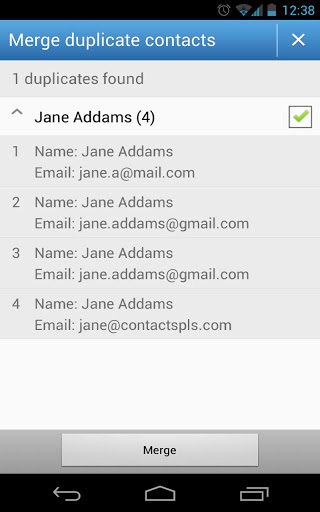 Merge + (Android) - Easily Merge Duplicate Contacts ~ Android Forever! 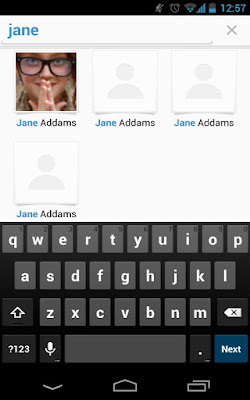 One thing Android doesn't do as well as we'd like is keep your contacts clean. Not talking about the ones you put in your eyes, but people for whom you have phone numbers, email addresses and so on and so forth and what have you. These can get messy when you've added some from your Gmail contacts on your PC and others from your phone, etc. This was a problem I faced recently. Not terribly debilitating, certainly, but annoying nonetheless. So I turned to Merge + and bim bam boom, my contacts are no longer a mess, since they've been merged with Merge +. Developer Quote: "Merge+ helps you easily find & merge duplicate contacts. 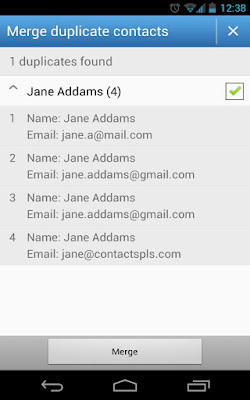 With Merge+, you can join duplicate contacts in your Android phone & Tablet with only three clicks: LAUNCH Merge+ to find duplicate contacts; REVIEW merge suggestions and mark who to merge; MERGE your selected duplicate contacts."